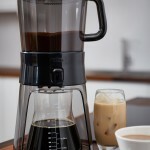 If the under cabinet coffee makers on this page don’t do much for you, read my article on alternatives to the under cabinet coffee maker. There are lots of great ways to get your coffee AND maximize counter space! Of the three under the cabinet coffee makers highlighted below, only one of them has a significant number of customer reviews, and they’re not good. The cheapest model has a few fans as well as a few haters, and the last model has no reviews at all, probably because it’s very new. If you absolutely must buy this type of coffee maker and no other, I would suggest going with the cheapest option. The Black and Decker SCM1000BD costs a lot less than the other two which reduces your risk if things don’t work out. If you can spare a tiny bit of counter space, however, there are some other options out there. 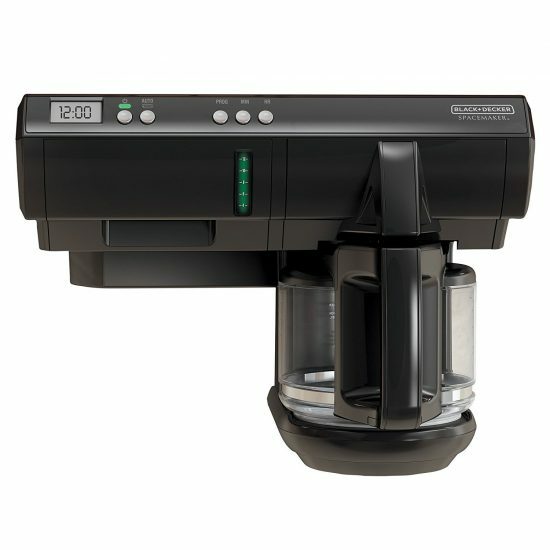 UPDATE (January 21, 2018): It appears that this coffee maker, the Black and Decker SCM1000BD, is no longer available on Amazon as of today. It seems like the availability of these models comes and goes. I’ll check back in later and see if this changes, but for now it looks like there are only TWO under cabinet coffee makers on Amazon, and one of them (SDC850) is discontinued but still in stock from some sellers. 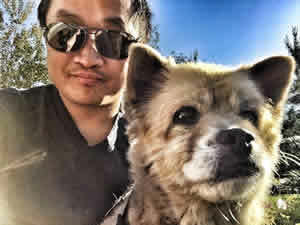 Scroll down below to read about them. 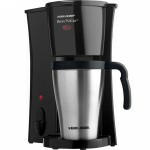 The SCM1000BD is the base model that the other two Black and Decker coffee makers below are based on. It has a removable water reservoir which makes for easy filling, it’s programmable, has a brew pause feature (grab a cup while it’s still brewing), and there is also a warming plate. Oh, and it’s available in 8 cup and 12 cup varieties. That’s about it for features. Amazon (or maybe Black and Decker? ), for whatever reason, decided to group this Space Maker coffee maker with its Space Maker Can Opener and Space Maker Toaster Oven. Since they have put three different products on the same page, this means that the customer reviews are for all three products. Unfortunately for those shopping for the coffee maker model of the Space Maker line of products, most of the Amazon reviews seem to be for the Toaster Oven (which many complain is not very good). Many are for the can opener, while just a few reviews mention the coffee maker and they’re not very specific. Depending on your perspective, this could be a good thing. In the world of product reviews, no news is often good news since complainers are often the most prolific reviewers. Suffice it to say, though, that people who love the Space Maker line of products seem to be very loyal repeat customers. This under the counter coffee maker by Black and Decker has the same features as the more basic model above. Progammable, removable water reservoir, brew pause. The big selling point on this one is that it comes with a thermal carafe, so therefore no warming plate is needed. It’s also a slightly fancier-looking unit. Unlike the SCM1000BD, which has very few Amazon reviews to base decisions on, the SDC850 has been reviewed 377 times as of this writing. That number is unlikely to grow very much in the future since several reviewers have stated that this model has been discontinued by Black and Decker. Why would they discontinue it, you ask? Probably because it’s problematic for a lot of people. 60% of the Amazon reviewers on this coffee maker gave it 4 or 5 stars. That’s good. That means there’s hope that, if you buy this unit, you might be happy with it, too. On the other hand, 40% of reviewers gave it 3 stars or less, and many of those are due to leakage from the carafe. 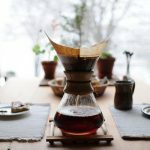 Leakage is one of the most common complaints about coffee makers in general, but this one seems especially prone to this problem. If, in fact, the SDC850 has been discontinued as reviewers say, then you should probably not buy this particular under the cabinet coffee maker. It’s expensive and an awful lot of people don’t seem to like it. If you like the idea of a thermal carafe, though, keep reading below. 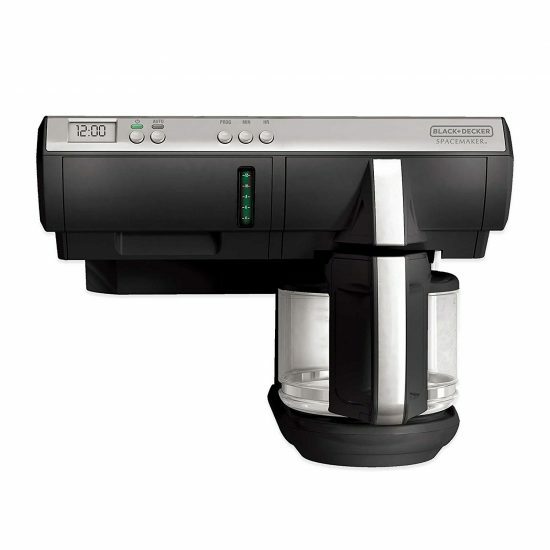 ﻿ Behold, the Black and Decker SCM2000BD, the best (and only) under the cabinet coffee maker on Amazon that has a thermal carafe! According to Amazon, this model just made its debut in December 2016, so that would explain why there are no customer reviews yet, as of this writing. Assuming Black and Decker learned some lessons from the discontinued SDC850 above, this coffee maker should be an improvement. Have they addressed the leaking issue? Well, there’s only one way to find out! 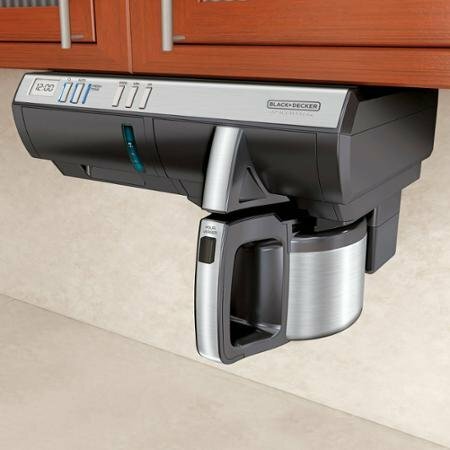 If owning a fancy under the cabinet coffee maker is what you want, buy this unit and brew as many pots as you can. Put it through its paces and decide whether it’s earned its place under your cabinets. Even though the customer reviews on these Black and Decker coffee makers are, overall, less than stellar, I still have faith in Black and Decker coffee makers as a whole. Their coffee makers may not be able to compete with the likes of Bonavita and Technivorm, but they seem to serve niche market needs pretty well. 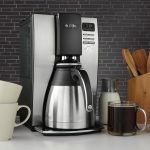 They make a single cup coffee maker that’s hard to argue with (read the review), and several of their coffee makers are Amazon top sellers. For some people, the coffee that comes out of a machine is everything. For others, there might be one particular feature that will make or break a purchase. Under the counter coffee makers seem strangely underrepresented on Amazon, but they’re clearly worthwhile for those who really, really need to maximize counter space.